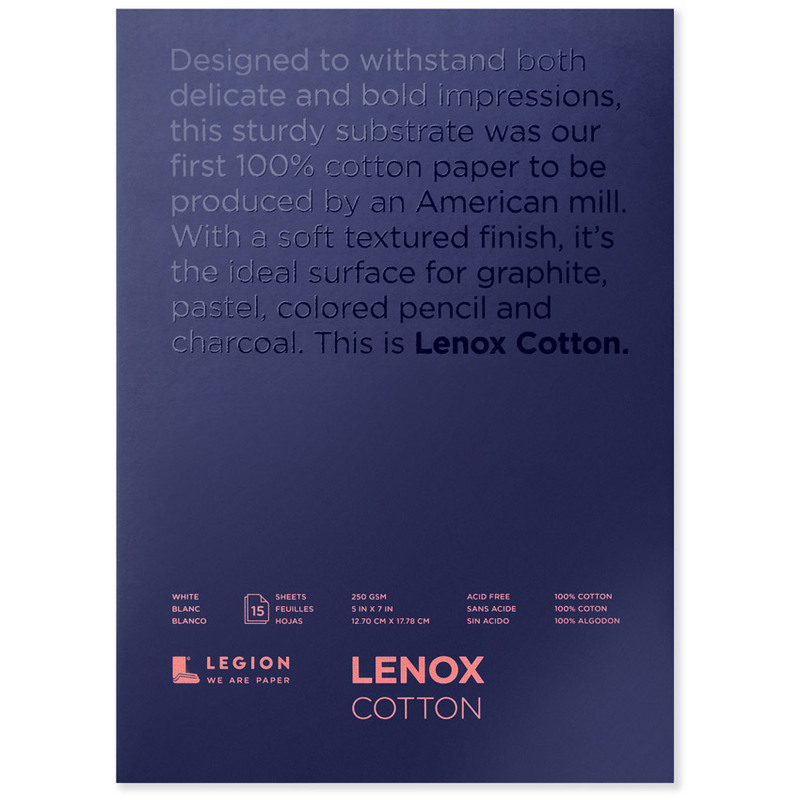 This paper was the first domestic 100% cotton paper specifically designed for fine art applications back in the early seventies, created by Legion co-founder Len Levine. This machine made grade was created to have its own unique characteristics which made it so suitable for a variety of media. 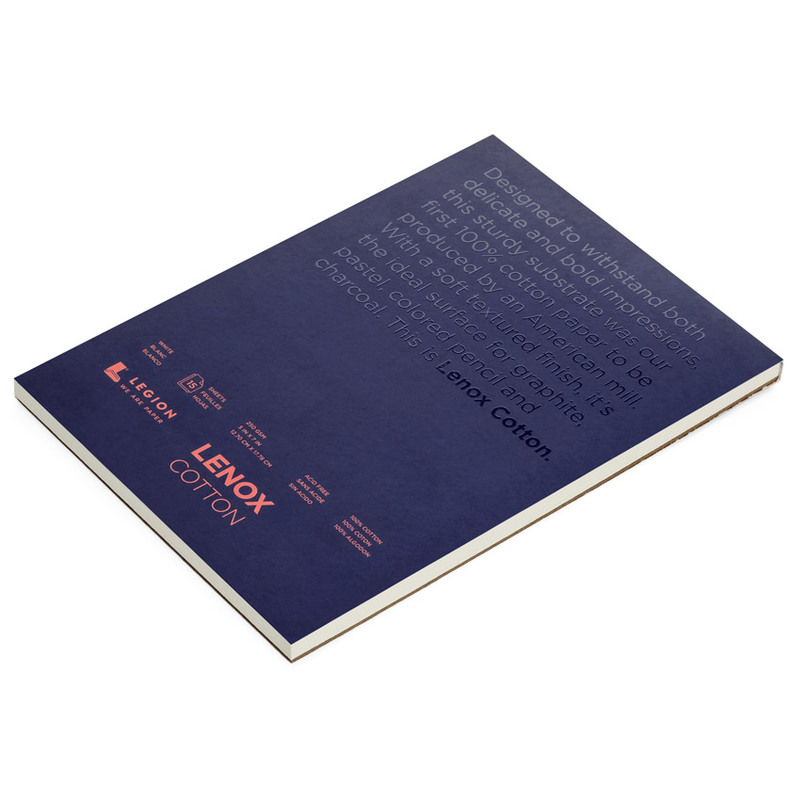 It is not deckled edge nor watermarked, but it's offwhite shade, medium textured surface and supple feel make it an excellent substitute for pricier European papers.